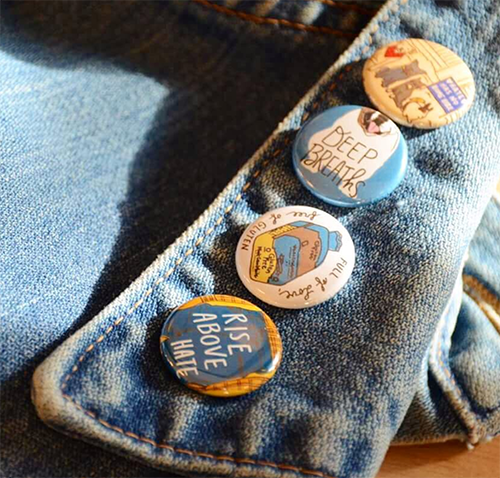 Art of the Pin Game: How pins and patches have taken over popular culture - Busy Beaver Button Co.
During your next trip to the coffee shop, take a look around. Chances are more than half the folks sipping lattes will be wearing a button or enamel pin. 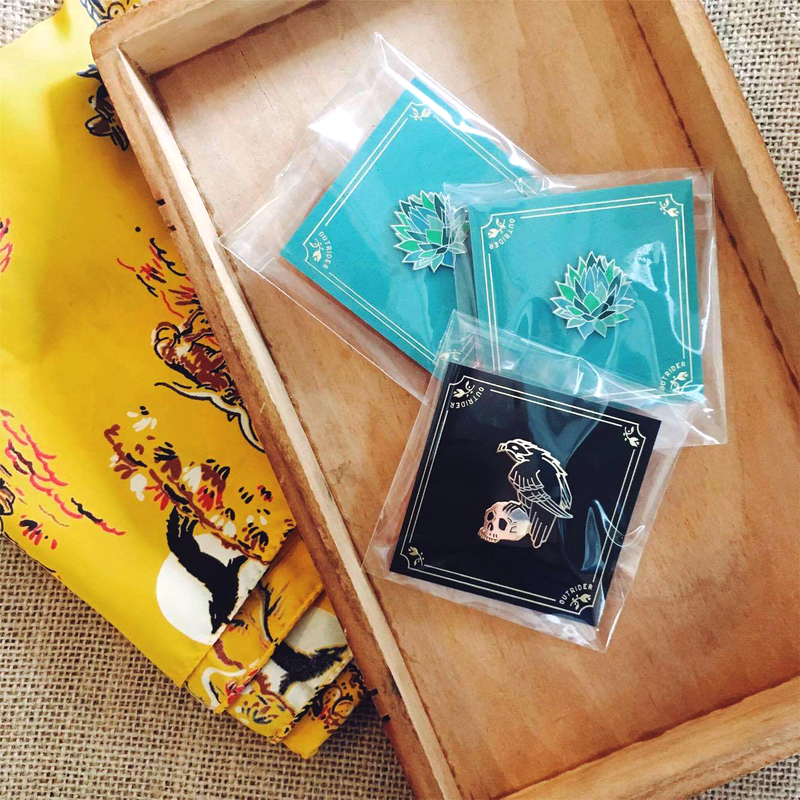 Within the last few years, wearable expressions, aka customized stickers, patches, buttons and pins, have become one of the most popular forms of self expression; collecting flair has grown from an insular hobby into a major cultural trend. In their annual trend report, Pinterest reported that the number of in-app searches for the term "pins and patches" increased 800% in the last year. And a quick search on Instagram of #pingame, one of the most popular hashtags for posting enamel pin pics, returns 407,099 posts. It’s clear— people are creating, purchasing and sharing pins and patches online like never before. As technology advances, the business side of art making has become more manageable for artists and designers. Custom manufacturing is now accessible to the public through e-commerce sites. And photo sharing apps like Instagram and Pinterest have allowed artists to tackle their own public relations efforts. 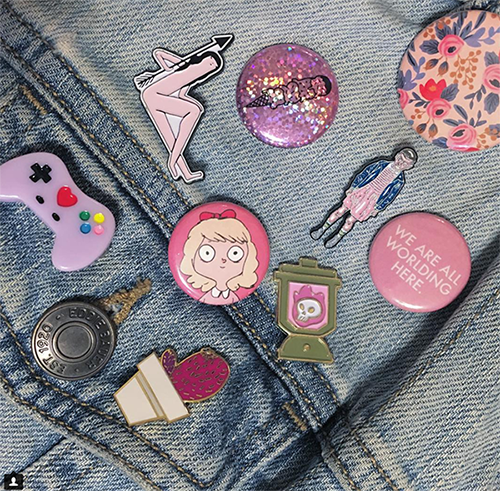 The paradox of the wearable expression trend is that people aren’t just sharing images online, they’re buying buttons, custom lapel pins and custom embroidered patches to wear them proudly. The digital trend feeds directly into a trend towards the tangible. 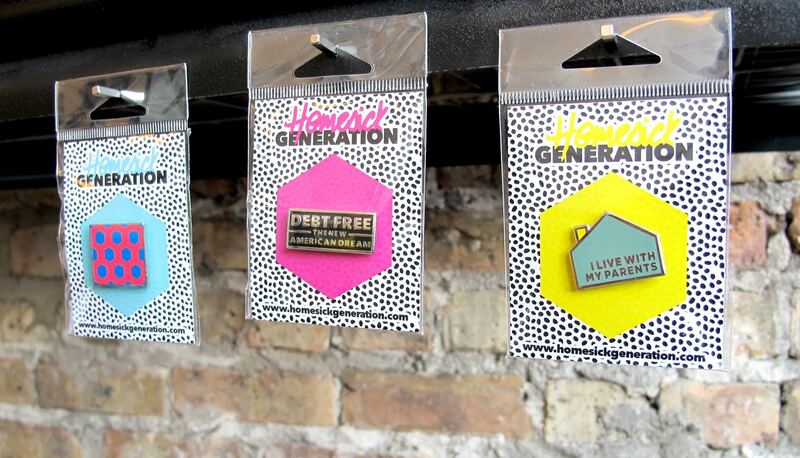 After all, you have to own and physically wear the pin, patch or button in order to take a selfie and share online. “We make quite a few patches for artists who in turn sell the patches,” says Rob Faurot, president of The Chicago Embroidery Company. Custom patch manufacturing, an industry previously dominated by orders for scout badges and municipal uniforms, has also seen an increase in artist requests. “People want to make the things they wear a reflection of themselves and one of the ways they do this is with patches and pins,” says Faurot. Artists and collectors aren’t the only ones taking advantage of the wearable expression trend. Major brands and businesses are manufacturing and selling wearables. You can now find patches and pins for jackets at major retailers like Macy’s and Kmart. Even Kim Kardashian has a custom pins and patches store online. 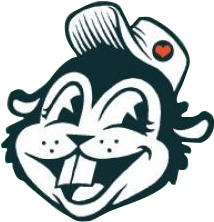 “With the rise of digital marketing and social media, more and more businesses are getting their brand out in a tangible way through custom stickers, buttons, patches, because [they know] it comes back online from excited fans sharing it,” says Jesse Freitas of Sticker Giant. Both artists and brands know: If you make something cool, fans will wear it and share it online. Want to make your own wearable expressions? Check out the vendors mentioned in the post. Custom buttons: Busy Beaver Button Co. Custom stickers: Busy Beaver Buttons Co.